A perfect gift for kids, the Aquarium & Zoo experience certificates open the doors to some of the country's best wildlife attractions. The perfect rainy day indoor activity, kids and toddlers will be fascinated with seeing turtles, sharks, fish and an array of other wildlife up close and personal. Ideal for birthday gifts and family Christmas presents. How often will you get the chance to enjoy a delicious buffet breakfast in the company of cute and cuddly Koala Bears! This uniquely Australian experience is perfect for adults and kids. Begin your day with an exclusive Sydney Animal Adventures Breakfast with the Koalas – a truly unique dining and educational experience surrounded by WILD LIFE Sydney’s iconic Australian koalas. WILD LIFE Sydney is an award winning zoo that combines a great location in Darling Harbour with the iconic animals of Australia. It has a range of interactive exhibits, along with feeds, talks and shows. How often will you get the chance to enjoy a delicious buffet breakfast in the company of cute and cuddly Koala Bears! This uniquely Australian experience is perfect for adults and kids. Begin your day with an exclusive Sydney Animal Adventures Breakfast with the Koalas – a truly unique dining and educational experience surrounded by WILD LIFE Sydney’s iconic Australian koalas. The Behind the Scenes Tour at Melbourne Aquarium gives participants an in-depth look at Melbourne Aquarium's main back of house area. Highlights include having huge stingrays fed right in front of you, as well as seeing the animals glide right next to you as you stand right on top of the 2.2 million litre Oceanarium! 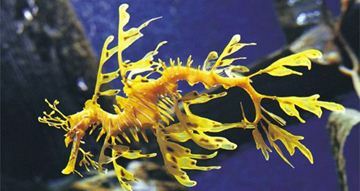 Enjoy this admission to SEA LIFE Melbourne Aquarium - home to thousands of aquatic animals and an engaging experience for the whole family! 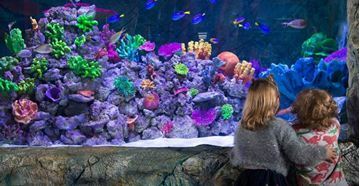 Enjoy a day at SEA LIFE Melbourne Aquarium - home to thousands of aquatic animals, including the world’s largest collection of seahorses and seadragons, sub-Antarctic penguins and huge sharks and stingrays. 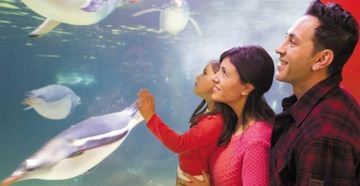 A day at the Melbourne Aquarium will be a fun and engaging experience for the entire family! 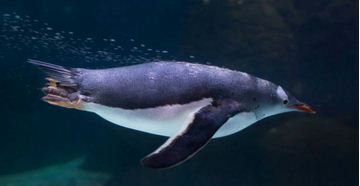 Penguin Passport is your ticket to a once-in-a-lifetime encounter with Melbourne Aquarium’s colony of sub-Antarctic penguins. 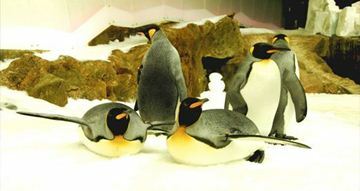 Suited up in your Antarctic snow gear, the 45 minute tour takes you onto the ice where you have the exclusive opportunity to sit among majestic King and cheeky Gentoo penguins. 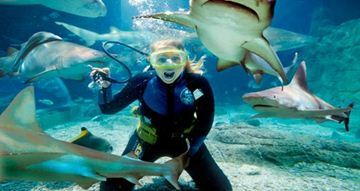 Experience the ultimate adrenaline rush of coming face-to-face with a shark - one of the most feared creatures of the deep! (Non-Certified Diver). Take the plunge inside Melbourne Aquarium's 2.2 million litre Oceanarium...if you dare! 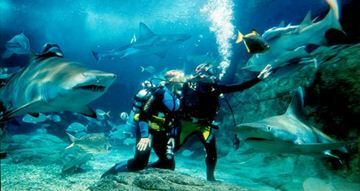 The Shark Dive Xtreme experience is all part of an adventure, where you will encounter creatures of the deep and have an XTREME experience never to be forgotten. Dives take place Friday to Monday each week.